Power outages and other grid failures can happen at anytime, that’s why having an emergency home generator is so important. Depending on the size of your emergency generator, it will provide enough electricity to keep your refrigerator, freezer, and several of your important lights on, if not your entire home. Living through Hurricane Andrew, I can relate to how the possession of an emergency generator in addition to a hurricane supply checklist , will do wonders for your family’s chances of survival. It’s an inexpensive ” must have ” for any family that may endure severe storms or occasional power outages. There are several types of emergency home generators to choose from. Having the correct unit to fit your needs and budget is of the utmost importance. Below is a breakdown of 2 of the most popular styles. Standby Generators – A ” standby ” generator is one that’s already positioned and hooked up to your home’s electrical system. This generator will remain inactive until there’s a loss in power or grid failure. Once the system recognizes that the electricity is out, it will kick on and deliver crucial electricity to your home. These are mainly found on commercial business structures but are now with the advent of smaller units are becoming more widely used in the residential market. 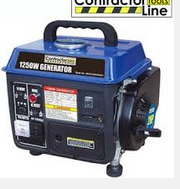 Portable Generators – A ” portable ” generator is exactly that, portable. Portable generators are more versatile and a lot cheaper. Portable emergency generators come in numerous sizes and can be easily rolled around your home to where ever you may need it at the time. The average weight of one of these modes starts about 50lbs. Portable generators run off of gasoline and their portability makes it great when it’s not needed because it can easily be stored in your garage or shed outback and takes up about the same amount of space as your push lawnmower. This style of emergency home generator helped me and my family survive the devastation of Hurricane Andrew for 2 months after the storm. The entire area was without power for several months. This is a very long time to be without electricity! Fortunately for us, my dearly beloved dad was a contractor and had the ability to get his hands on a portable generator quickly. We were able to use this power to run our refrigerator, a couple of lights, a fan, and a small tv. Inverter Generators – Inverter generators are typically smaller than framed generators, and usually can be carried by hand. 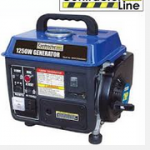 These emergency generators are great for camping where noise is more of an issue. Because the power can be controlled better, these generators work well with sensitive electronics like computers and radios. 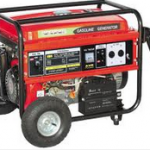 Propane Generators- These portable generators are powered by propane instead of regular gas. This can come in handy during emergencies where and when gasoline becomes scarce and hard to come by. A generator can keep your fridge and freezer running so you’ll have access to all your groceries without worrying about them spoiling really fast. And we all know how important it is to have food on hand during any type of emergency situation. The last thing that you’ll want to be doing during times of crisis is throwing away mounds of food that you’ve spent your hard earned money on because it went bad when your power went out. Some of my neighbors didn’t have an emergency home generator and their newly bought steaks and seafood didn’t stand a chance, what a waste! 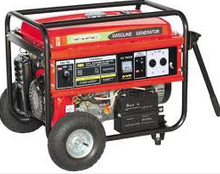 * Make sure that the emergency generator you choose will have the power you need to complete the task required of it. * Because you plug your appliances directly into a portable generator, make sure that it has plenty of input and outlet sockets for your items. * Try to find generators with larger fuel tanks! Obviously, the bigger the tank the less frequently you’ll have to refill it. I know from experience that having to refill a generator tank often or in the dark is tough and gets old real quick. Especially when there’s bigger fish to fry during emergency situations. Now that you’ve gained a little more insight and knowledge of emergency home generators, you can feel confident about purchasing one of these very important items for your home, camping, or bugout location. Remember that most emergencies won’t wait until you’re prepared to strike, take action today and you’ll be ready when it strikes tomorrow! Pick out your perfect generator NOW!